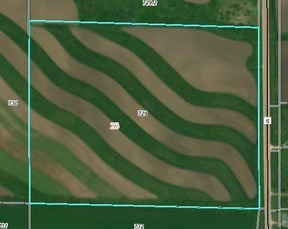 In an area of rolling hills & active farms, 29 tillable acres are available with high quality soils and good drainage. Access off a well-maintained and serviced yet lightly traveled county road. 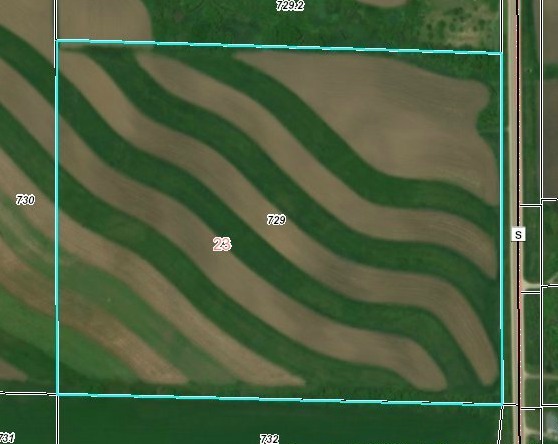 Plat of survey on file with the county shows the parcel divided into 4 lots if buyer wishes to apply for subdivision. 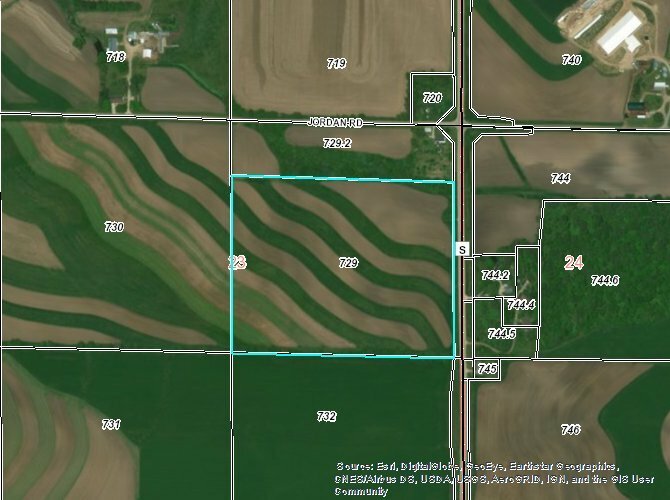 The acreage is use-value assessed as farmland, any change in use and subsequent conversion charge would be the buyer's responsibility. 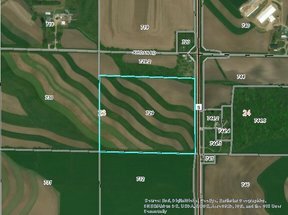 Land subject to lease through Nov '19, current lease $200/acre.